1 A woman from the minority religious Yazidi sect, who fled the violence in the Iraqi town of Sinjar, cleans her child in an abandoned building which is now used as a shelter for her family and many other regufees, outside the city of Dohuk, Aug. 14, 2014. 2 A woman from the minority religious Yazidi sect who fled the violence in the Iraqi town of Sinjar, cooks in an abandoned building, Dohuk, Aug. 14, 2014. 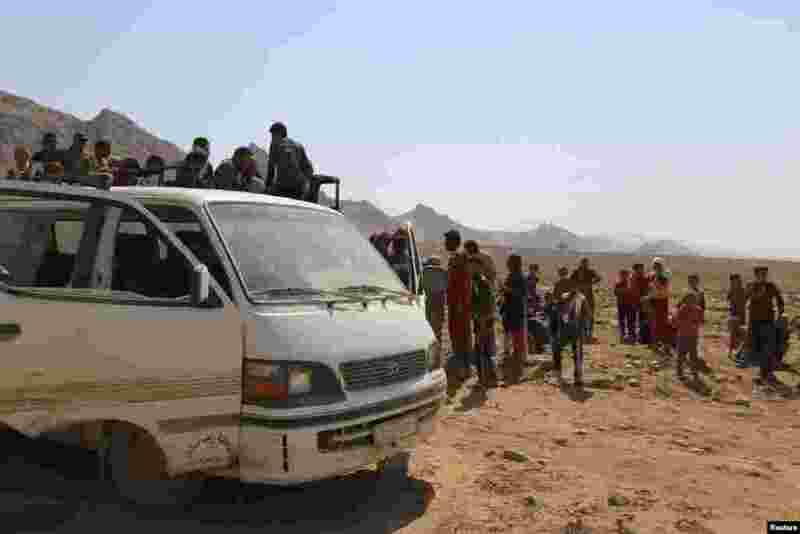 3 Displaced people from the Yazidi religious minority climb on a truck as they are evacuated from Mount Sinjar with the help of members of the Kurdish People's Protection Units (YPG), as they make their way towards Newrooz camp, in Syria's al-Hasakah province, Aug. 13, 2014. 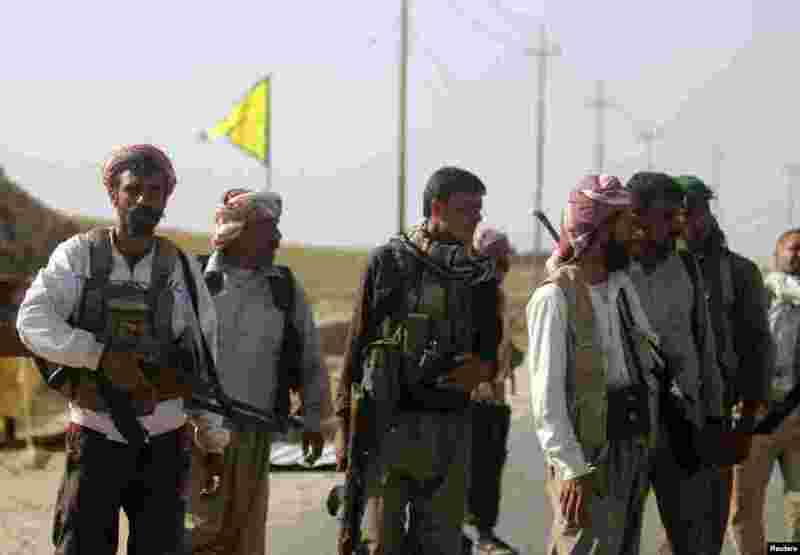 4 Yazidi fighters who recently joined the Kurdish People's Protection Units (YPG) secure a road in Mount Sinjar in northern Iraq, Aug. 13, 2014.